The very first wedding reception took place at the Langstone Cliff Hotel in 1947. 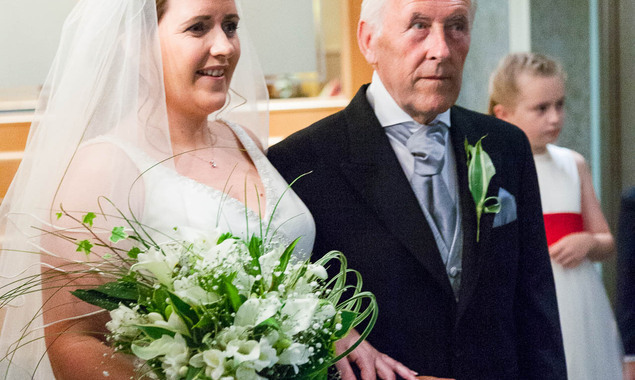 Countless wedding receptions and civil wedding ceremonies have taken place here since then – we are proud to be presenting celebrations of Silver & Ruby, Golden and even the occasional diamond wedding celebration for couples, many of whose original reception took place here! For dining, a wide choice of meals are available for your wedding breakfast, either banquet or buffet style, and they can be found in the Menu Planner. You will also find our very popular Wedding Packages featured there. We are committed to making sure that your Devon wedding day is exactly as you want it to be, so we can plan the whole day precisely to your requirements. 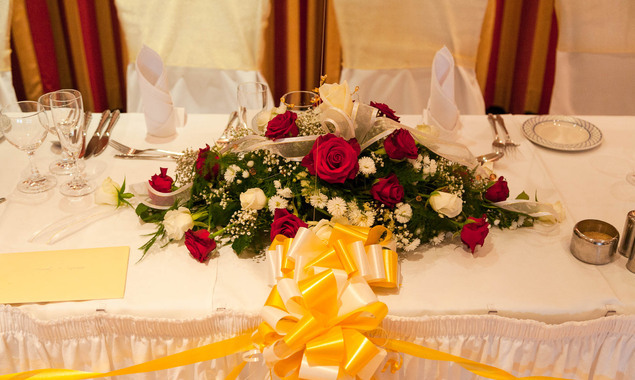 Planning the details is of paramount importance for a memorable and carefree day and we can help with arranging any of the ancillary services you may require, as well as the presentation of the reception. To find out more about having your wedding reception at our Devon venue, call or email us today!